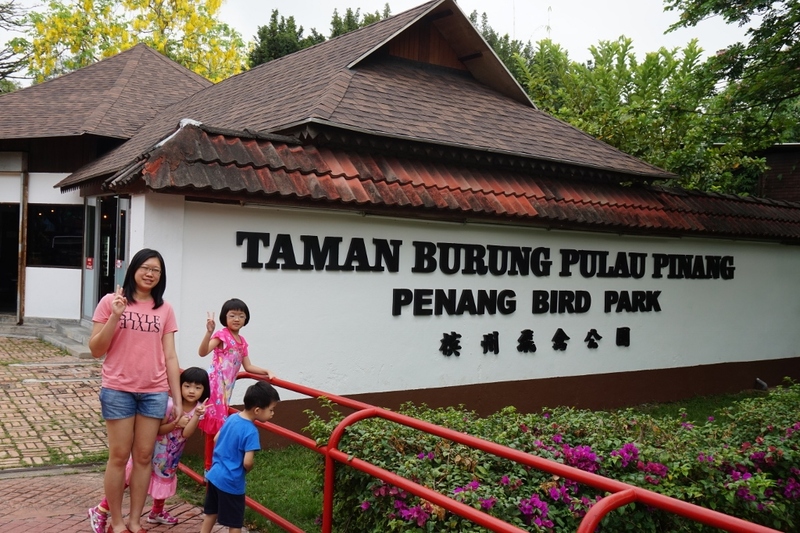 This is our first trip to Penang and mummy is feeling excited to bring the kiddos to Penang Bird Park! 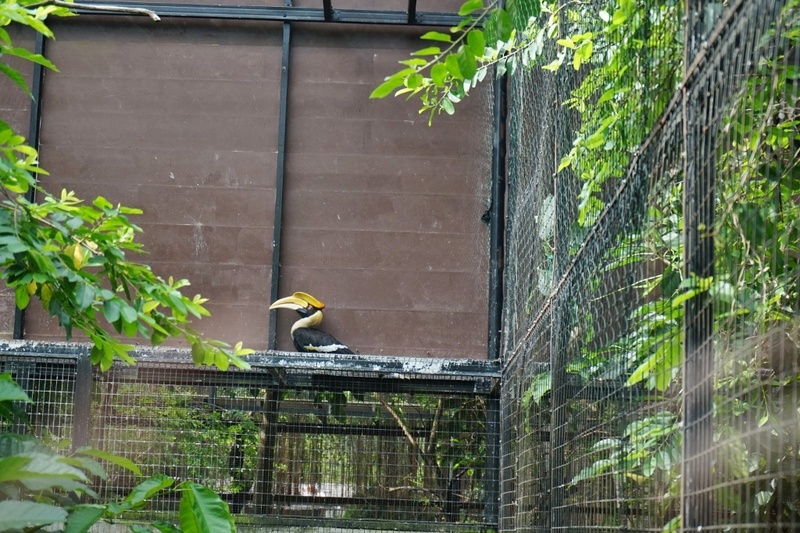 We reached here early at 9.30am and the place looks quiet and all the birds are mainly inside the cage. 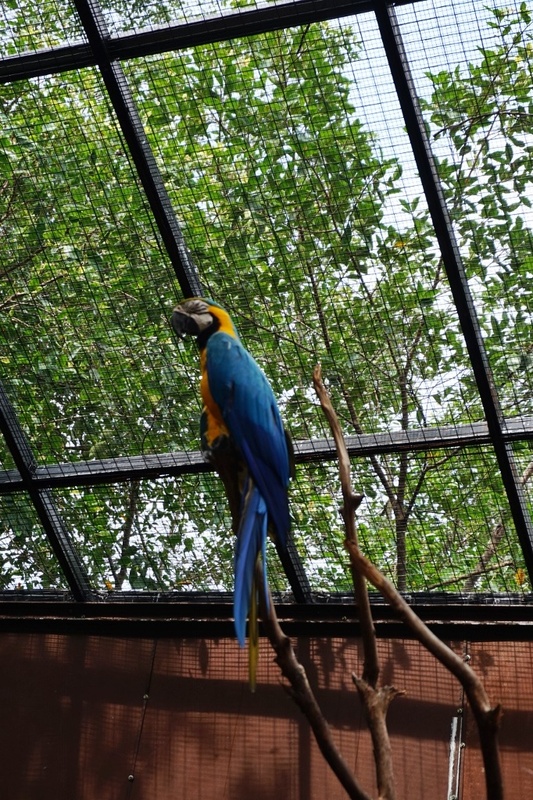 It have many section to venture so the first stop is to see the parrots. 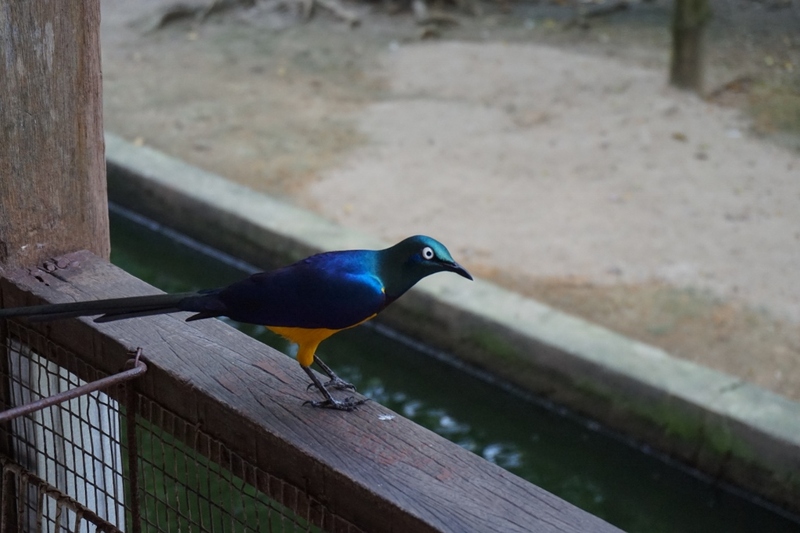 Penang Bird Park is The first & largest bird park of its kind in Malaysia, established since 1988, the 5-acre park on the mainland portion of Penang State, has a collection of more than 300 species of birds from all over the world, of which more than 150 species are of Malaysian Species. 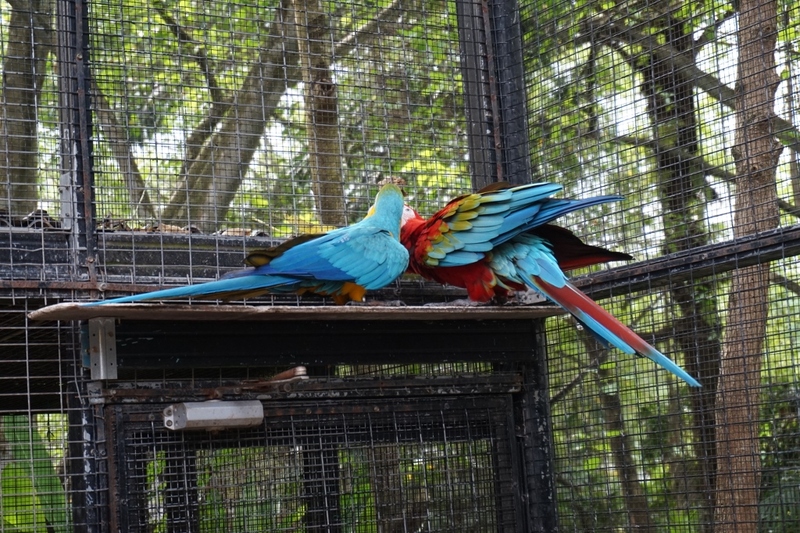 More than 3,000 birds in this park are carefully and scientifically housed in more than 150 cages for the breeding and conservation purpose. Our family enjoy talking to the Parrot. He is a very smart bird. He heard us and respond to us. Bye Bye! Hello ! Hello! 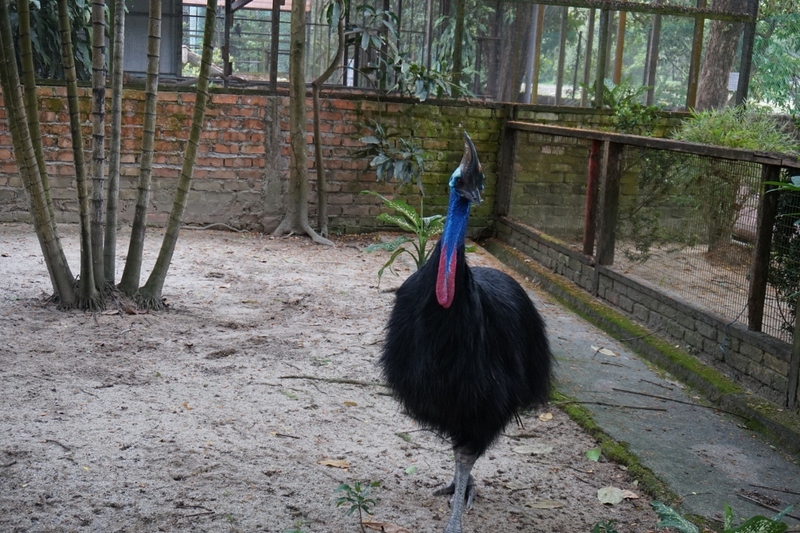 While the 2 Geodesic Domes and 2 giant sized Walk-in-Aviaries, keep hundreds of tamed birds which offers priceless memory and exciting moment for visitors, after hand-feeding them, exotic birds ranging from tiny Sunbirds to huge, gigantic 8-foot tall Ostriches frolic in an environment that imitates their natural habitat. 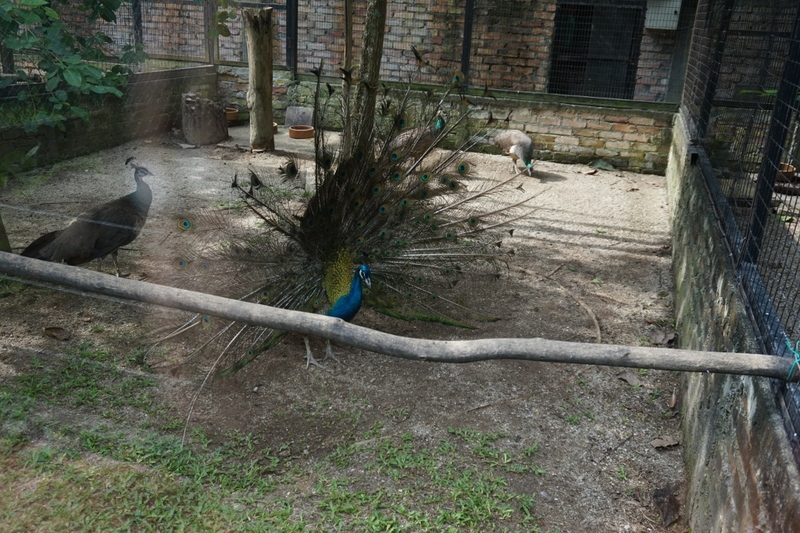 Penang Bird Park is particularly proud of its hornbills, sunbirds, and pheasants collection. 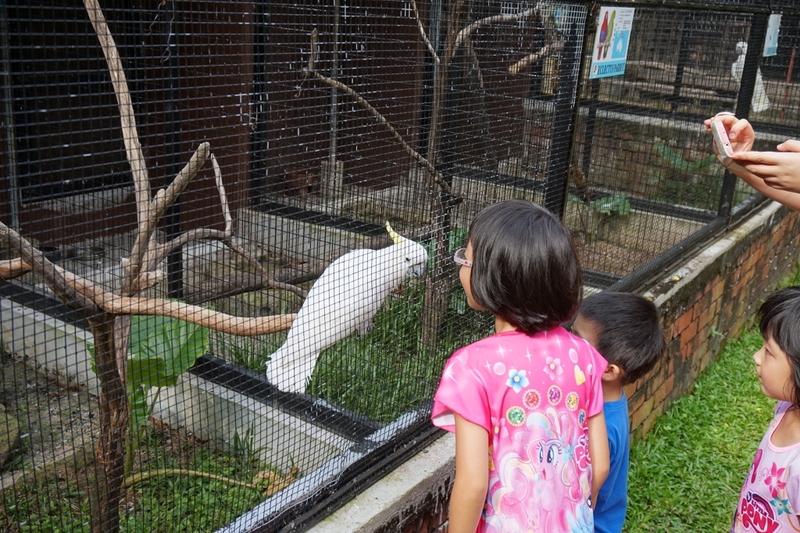 Penang Bird Park is the bird-park loved by the expert ornithologists as well as for the people of all ages who love birds. Built in a garden concept, the park boasts of its beautiful landscaping with the impressive collections of hibiscus, orchids, bamboo, ornamental plant and palm trees. 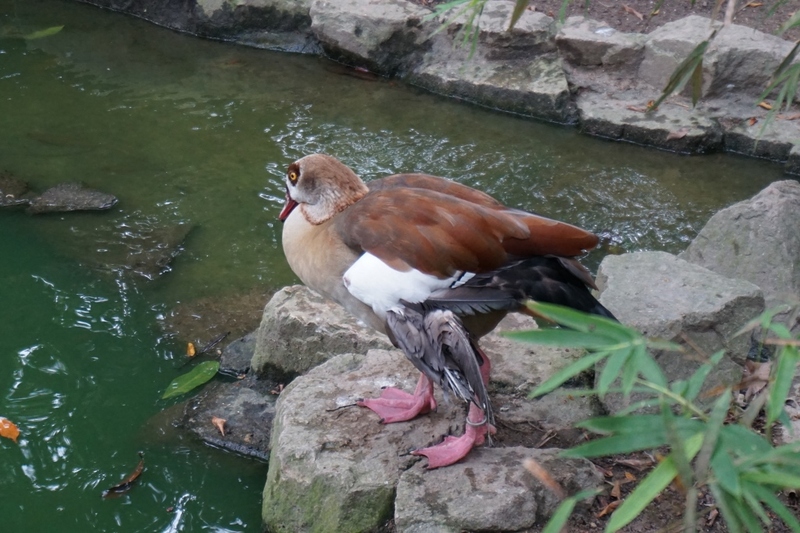 Cascading waterfalls and natural ponds flourish with colourful fishes, lotus and water lilies, creating a home for the free-roaming pelicans, flamingos, swans, egrets, storks, herons and colourful ducks. 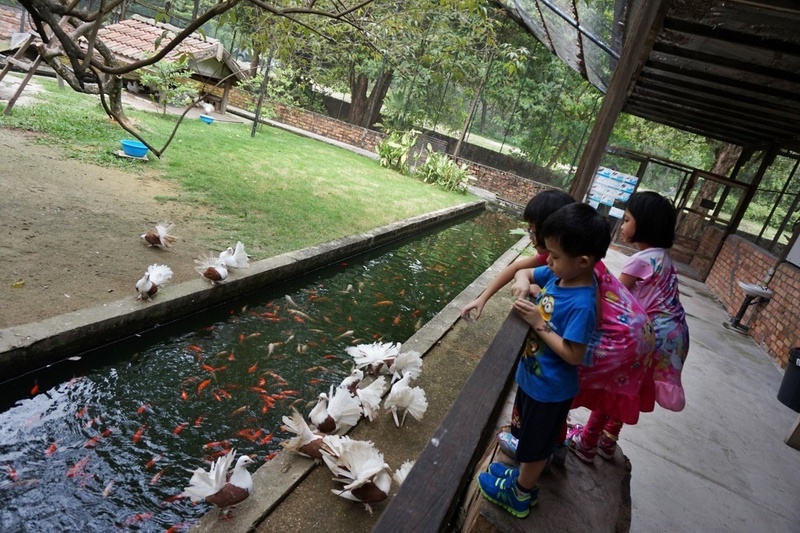 Observe from the Chinese-style wooden bridges that traverse the water or relax in the little Malay huts that dot the park to enjoy the beauty of nature at play. 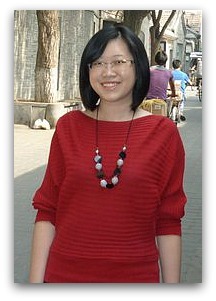 A cosy air-conditioned restaurant in the park serves delicious local and western food. 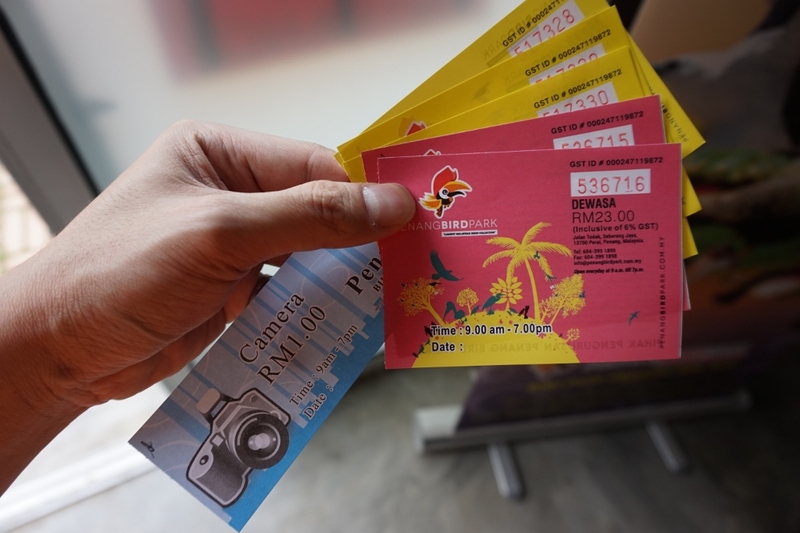 Penang Bird Park is also a home to several species of deers including the smallest deer in the world - Mouse-Deers. 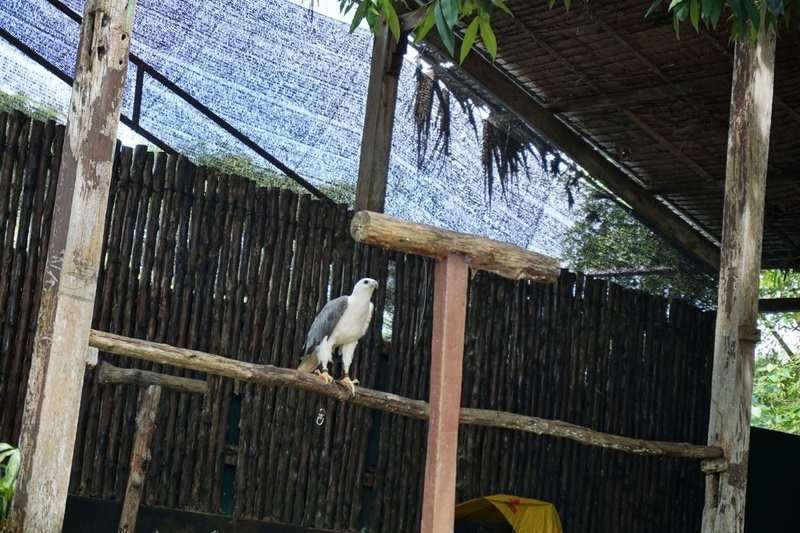 Giant Arapaima fish, pythons, giant estuarine crocodile, tortoises and other species of wildlife are also exhibited in this park. We came to another section whereby you need to open a small door to enter this area. 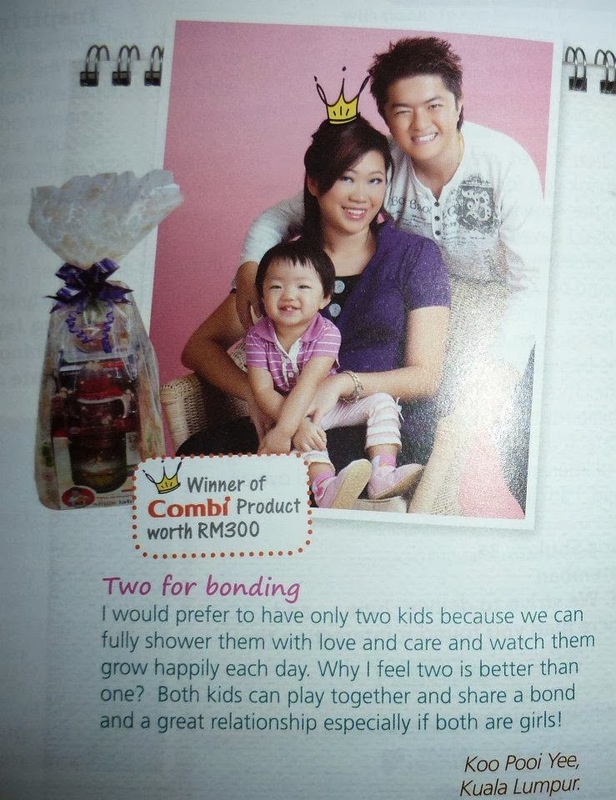 We can purchase the FISH food for only RM 1. My kids enjoying throwing it all over. 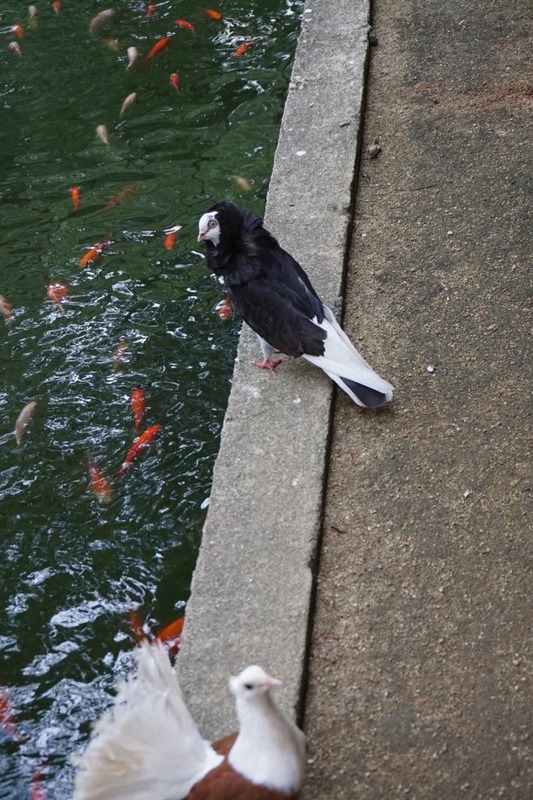 Not only the fish are excited waiting for the food, the birds as well! 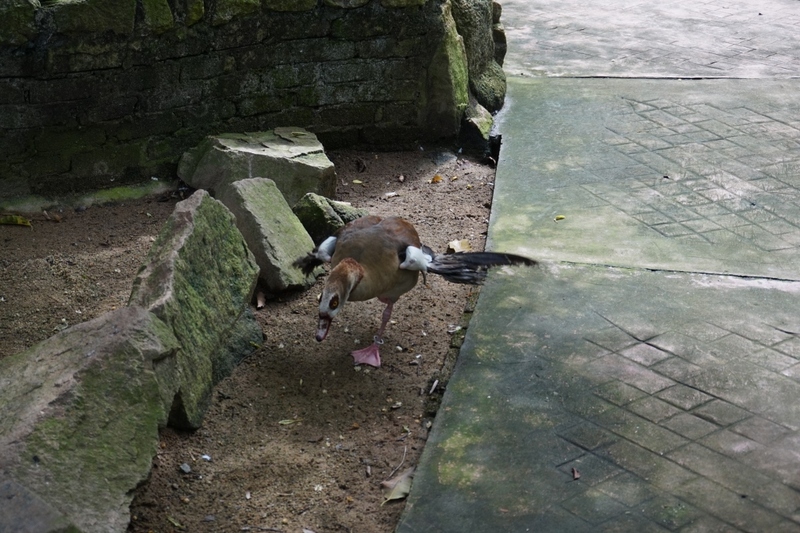 In this section, the birds are freely walking around and we get to capture the pictures with them more closely. Look Mummy! White Peacock! The fun moment - We can take pictures with the Parrots after the birds show! Yeah! 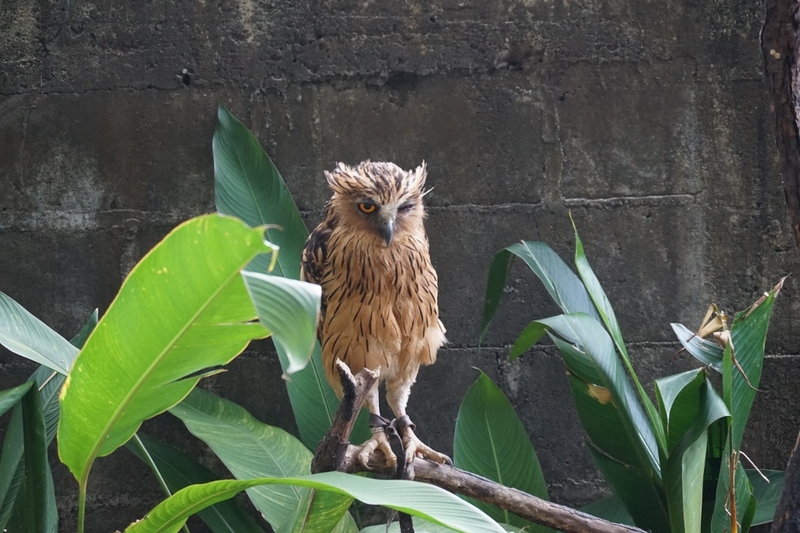 Memorable time spend with my kids and they get to explore so many different types of birds. 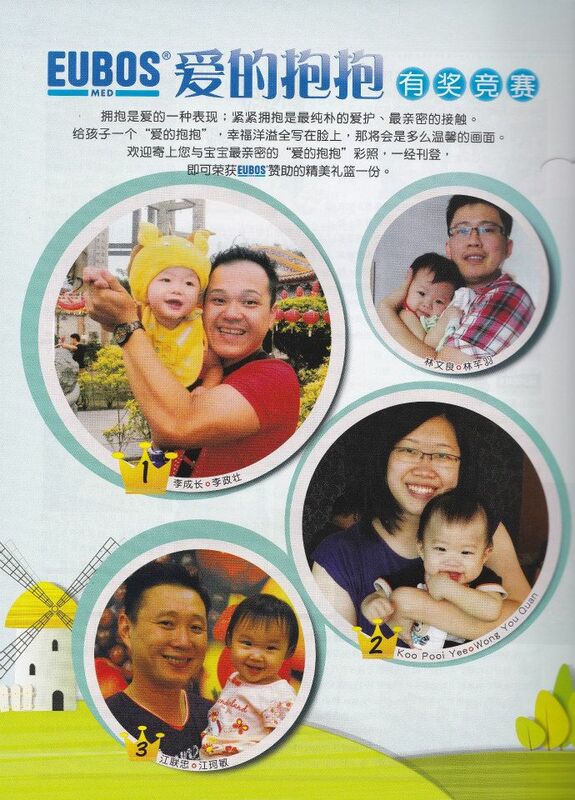 We all enjoy it so much and more glad that the weather is just nice on that day. * Open daily : 9.00am - 7.00pm including weekends & all Public Holidays.